The LEDHB30W’s high quality aluminium alloy fins greatly boosts heat conductivity and air-flow. 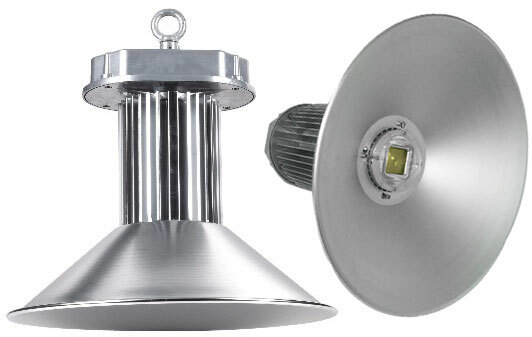 The LED high bay light utilises US Bridgelux highlumen integrating encapsulated LED technology. It has an increased lifespan with an LED light decay of less than 15% over 20,000 hours of use. Reflectors are available in polycarbonate or aluminium with beam angles of 45°, 90° and 120°. The fixture is completely free of hazardous materials including mercury and lead.